Awesome work, i’ve tried myself to get my hands on shader, but it relatively dark when you don’t know about it in the first place. Really impressed, keep up the good work. This is my first shader, so I am relatively new to this stuff myself! I do agree that shader-information on the web is a dark place. Really hard to find good tutorials or clear answers to anything. But I finally managed to make this. But it’s a bit early for me to make a tutorial, and I don’t really have the time either.. Already found errors and weird behavior on this shader, but will continue working on it and might come back with more! Ever came across this error ? I’m still searching for an answer on the web, and i can’t quite understand the problem there. If you are on Mac or some other platform than Windows without DX11 capabilities it probably won’t work.. It’s quite limited as is.. 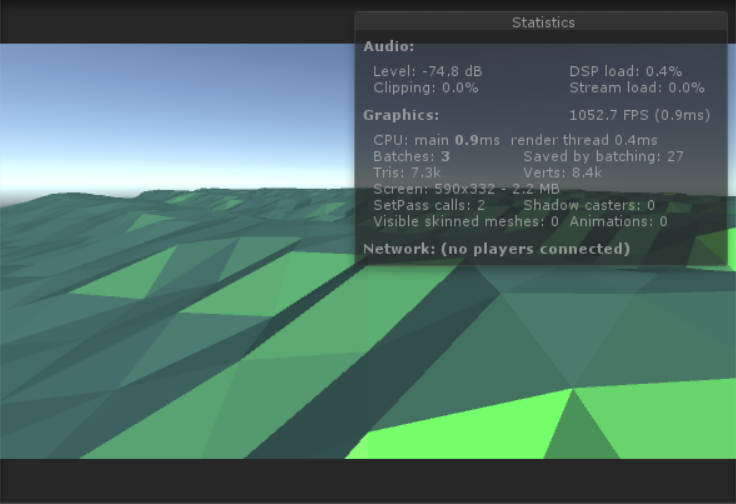 Unity will support geometry shaders on other platforms down the road I believe! Nice work! I tried a lot of times now to develope a low poly water shader by my own but I always give it up with the normal calculation. Can’t get it to work. Your shader is working but I get an offset from the pivotpoint of the object. It doesn’t render at the place I put my object. Your shader is working but I get an offset from the pivotpoint of the object. I believe the offset is due to scaling, not sure. Haven’t had time to look more into this shader. It could be improved in many ways! That low poly water look is exactly what i would like to have in my current project. I tried to use your example but i soon realized it isn’t affected by fog. However, with my limited knowledge about shaders i can’t figure out how to pass the fog data through the geometry function in your shader, so i can use it in the fragment function like in the example. 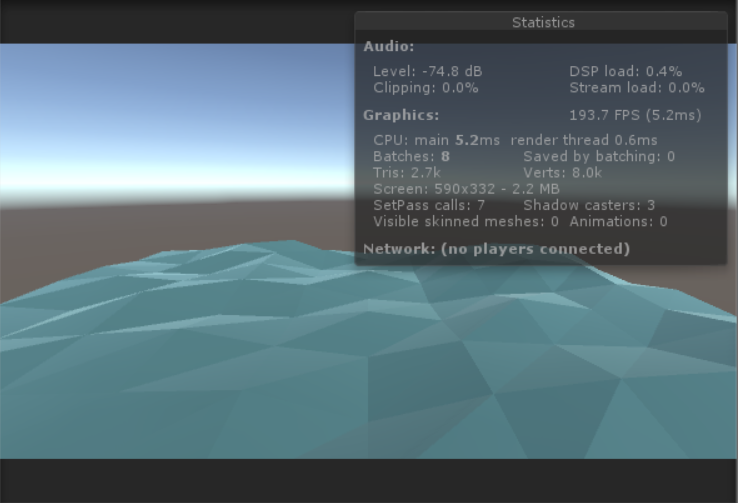 Rember to add the fogDepth to both v2g and g2f structs and set OUT.fogDepth = IN.fogDepth in the geometry function.. I can’t figure out how to make it long though. If I duplicate planes the effect breaks… Any tips on how I can increase the surface area? Hi, Brian! I really like your idea! And I hope you’ll get it working! 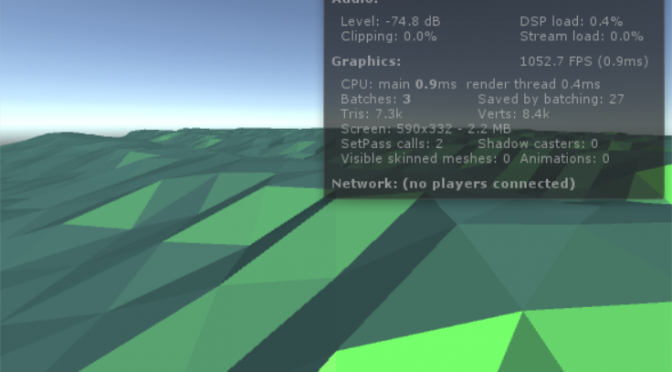 The reason for what you are experiencing is a bug in the vertex function of the old shader. I’ve fixed it in my current shader, but not in the one I’ve shared.. I would have to spend some time on it to fix it, and I haven’t had free time to look at it. It’s a rather simple fix. Just have to change the way I added the offset of the vertexes. I believe I set v.vertex = mul((float3x3)_World2Object, v0) or something like that in the shader you have, but what you want is v.vertex.y += mul((float3x3)_World2Object, v0).y .. kind of.. But if you don’t know your way around shaders you could simply make a bigger plane in Blender and use that to get a bigger wave. This is a really cool shader. Can I use it for a commercial product? (working on a game that may or may not be published at some point). And another thing – by any chance did you think of adding reflection and transparency to it? Thank you! Yes! You can use what I’ve shared any way you want! I’m okay with that! I’ve already made a new shader with reflection and transparency, but I’m not sharing at the moment! Thanks for the fast reply and for letting me use it! If I ever finish it I’ll let you know! No problem! Hope you can make it work for your need! Please let me know, yes! Ronnie, I break my head, but: how make a float for the boat on this shader? I’m not sure I know what you mean, but if you are trying to get an object to “follow” the motion of the waves, you would either need to make another shader that displace the boat with the same wave code, or duplicate the wave code in script.. Yes.. This is because the collider does not change! You need to duplicate the wave formula in code to make the boat follow. Hello Ronnie, this shader is awesome and just what I need! Though I would like to make the water semi transparrent, anyway to add alpha to this? Yes, my old shader is quite limited.. I’m not sharing my newest version yet, and don’t have time to support the old one.. I’m sorry..
No problem! Hope it works out fine! But fyi the non transparent one is also DX11 only i think! Doesn’t compile for me. I get an error saying it doesn’t know what triStream is. Did you download the completed shader in the top of the post? oddly, i have only been notified by your answer today. ah yes, you’re right those little arrows still refuse to show up, and this time i’m sure i have not screwed up . I ve also seen that you added the missing output struct on the geometry shader on your new file indeed. I din’t realize that you were so active on answering questions on your blog, my attempt on helping out wasn’t even necessary ! Nice work on all that by the way ! Yeah.. It’s the same reason I had troubles with the code I shared on here the first time around! I’m not very good at posting on here, but I follow up on any questions that pops up! 😉 Thank you for the kind words! Yeah.. I’ve abondoned this version of the shader.. I’ve redone the entire shader and have it working on newer versions og Unity, but it’s not public.. I’m sorry.. Thank you for sharing this shader. I want to use in my art project but i need an opaque version and i don’t find this parameter in the code. The alpha value is 1 but have some transparency. Can you help me, how can I modify the shader? Just change tags to «Queue»=«Geometry» and «RenderType»=«Opaque» . You can also remove the Blend line and the alpha parts. thanks for the fast answer. In the shader parameters the Render Queue already set to Geometrey, but I don’t find the Render Type parameter (Unity 2017.3.0f3). Btw removing the blend line in the code solved the problem. Okey! Maybe it’s not in the shader you’ve used. Or maybe it was removed during convertion to newer Unity.. But if it works..
Hello there, after tons of research I found this shader amazingly useful. Do you mind if I use this on my commercial game? I don’t mind at all! The version I’ve put up here you may use as you wish! But keep in mind that it is not supported on all platforms! Hello. 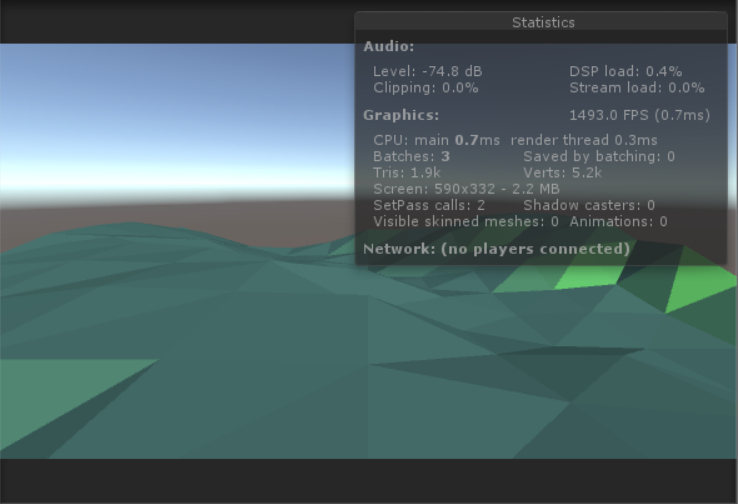 Thank you for posting this shader, it has really helped me understand how unity shader code works. In fact, I’ve written my own shader that is heavily based on yours (it’s mostly just the code handling specular reflection calculations that I’ve borrowed). Would it be alright if I potentially use it for commercial purposes?